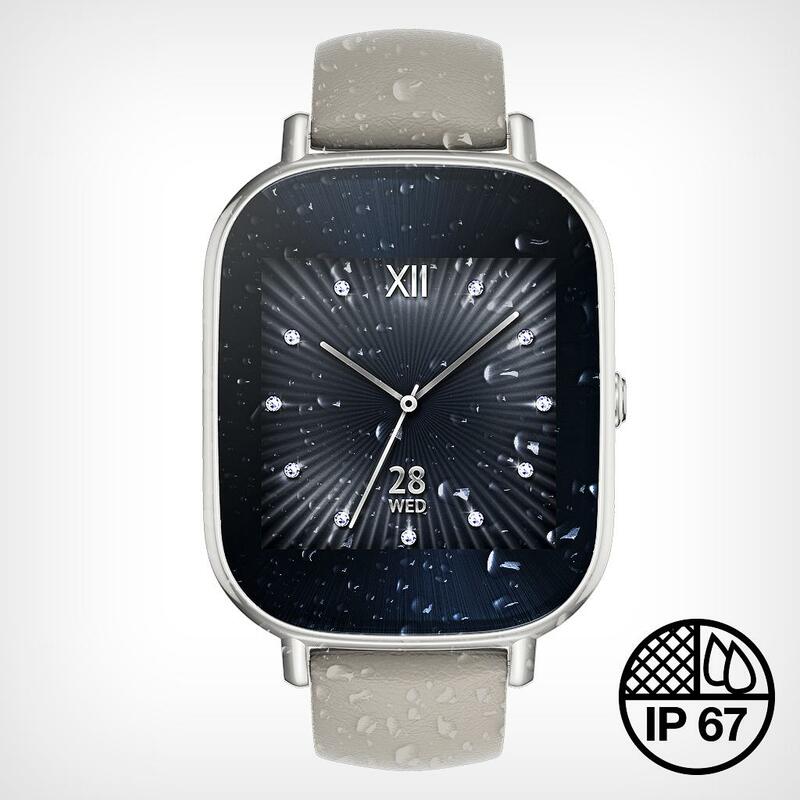 ASUS ZenWatch 2 is equipped with a luxurious stainless-steel casing with an elegantly curved watch crystal. It offers both incredible style and endless utility when paired with your Android or iOS phone and brings sophisticated style and powerful functionality to any wrist. HyperCharge : No hassle quick charging – just 15 minutes to a 60% charge from 0% battery level. Also compatible with iOS 8.2+, Part of Google Android Wear 5.1.1 capability. 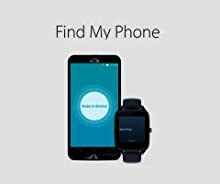 Supported features : Receiving notifications, Google Now cards, Voice queries (Google search), Limited voice actions, Answering and dismissing calls. 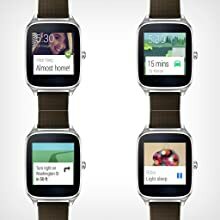 Note: Not all ASUS ZenWatch and Android Wear functions are supported on iOS, including ASUS apps, such as ZenWatch manager. 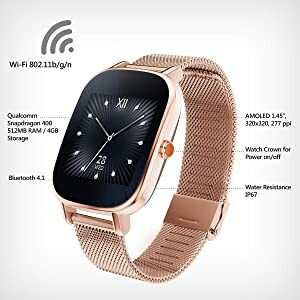 Not supported: Third-party apps, Transferring music to ASUS ZenWatch, CloudSync, Wi-Fi. Note: Battery life may vary depending on usage type and conditions. The test result was determined by charging with ZenWatch 2 10W adapter or ASUS ZenPower Pro. 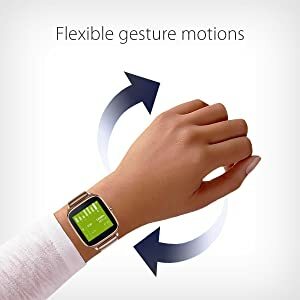 Wrist gestures – Scroll through cards, open apps, return to the watch face, and more with simple, and intuitive wrist gestures. 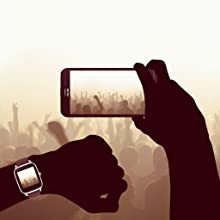 Screen dimming gesture – Instantly turns into ambient mode for extra privacy and reduce battery drain by an intuitive gesture. To activate, simply lower your wrist to remove from the usual viewing orientation on ZenWatch 2. With the built-in speaker in ZenWatch 2, you can now make phone calls when connected to your smartphone via Bluetooth. You can also set audible alarms, APP notification alerts, hear and speak voice messages on your ZenWatch 2. 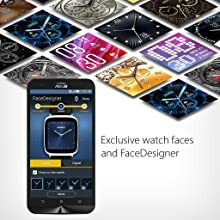 Choose from a total of 50 official ASUS Watch Faces. Its offerings range from the classic and sophisticated chronograph to modern digital flavors. 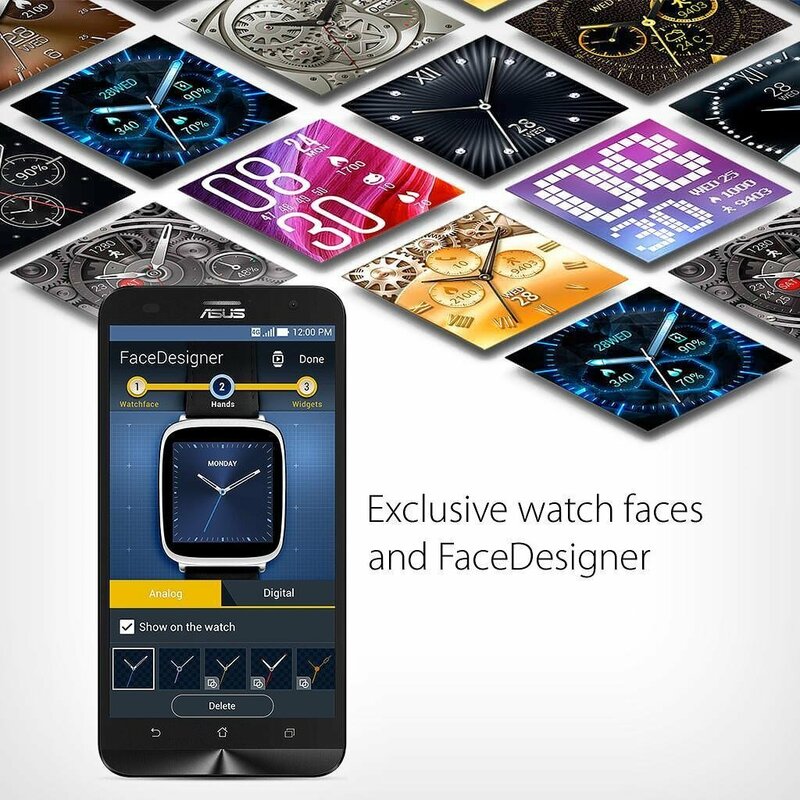 You can even create your own Watch face with ASUS FaceDesigner for unlimited customization. – Gesture shutter (Twist device). – Photo shoot and Video recording. – Review display (5 seconds) for last capture. – Launch camera from your wearable (tap app icon or voice command). ASUS ZenWatch 2 offers robust fitness tracking and health features in its Wellness Suite. Set fitness goals, track steps and calories, and measure your results. You can also say ‘Start workout’ to launch workout coach on the watch. You can set time, period, distance, or expected burned calories as your goal. 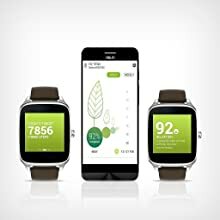 The watch will notify you when you reach goal. – Get all-day assistance from Google. Just Say ‘OK Google’. 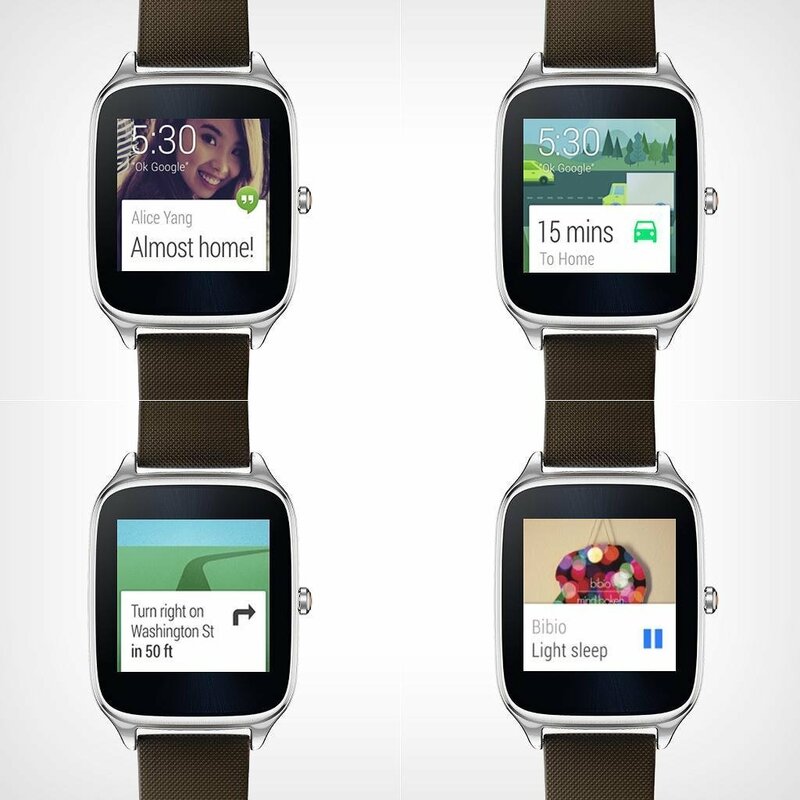 – Android Wear organizes your information, suggests what you need, and shows it to you before you even ask. 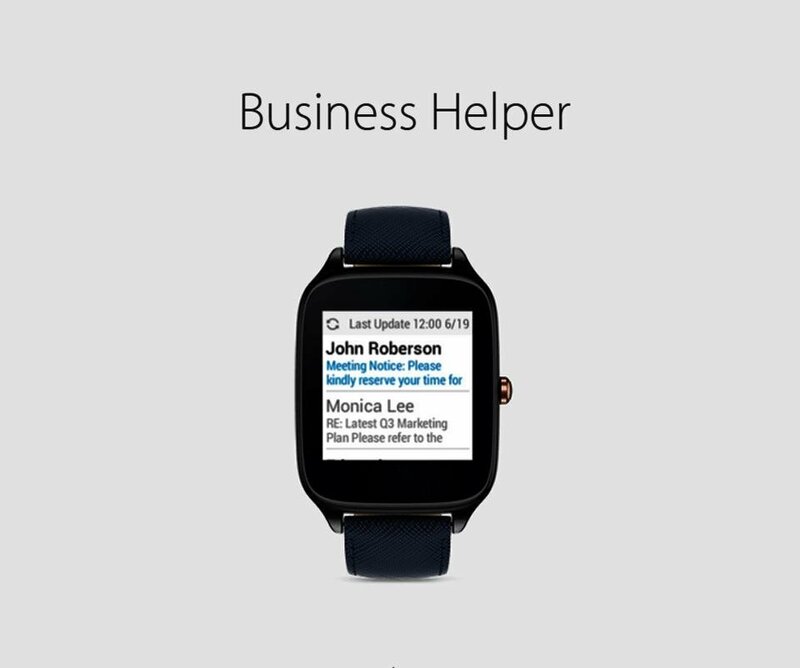 – Get messages from your friends, appointment notifications, and weather updates at a glance. – Respond to texts, instant messages and emails by voice. – Ask questions like ‘Will it rain this weekend?’ and get straight answers. 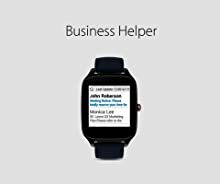 Your own personal assistant for common business related tasks. View your call log, check your agenda, and manage emails. Tired of your phone ringing at the wrong moment? Silence The World With A Wave Of Your Hand. 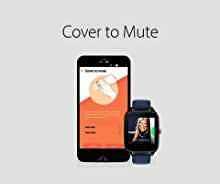 ‘Cover to Mute’ lets you easily mute an incoming call by placing your hand over the face of the ASUS ZenWatch, helping you avoid situations where a ringtone would disturb others. If you misplace your phone, locate it quickly by ringing it remotely from ASUS ZenWatch 2. Alternatively, if you misplace your watch, use ASUS ZenWacth Manager on your smartphone to make it vibrate and flash. 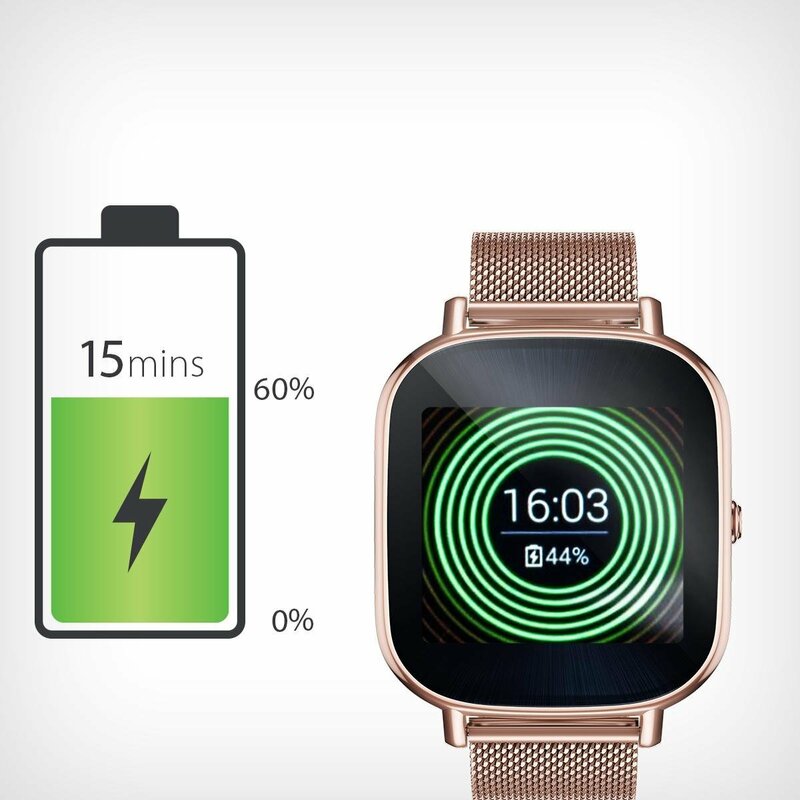 If you leave your phone behind, ASUS ZenWatch 2 will vibrate on your wrist as a reminder to bring it with you. Effortlessly keep your phone secure with ASUS ZenWatch. 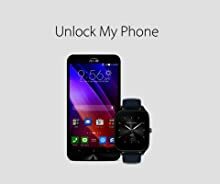 When you wear your ZenWatch, you can set your phone to stay unlocked as long as it is near by. When out of range, your phone remains passcode protected.